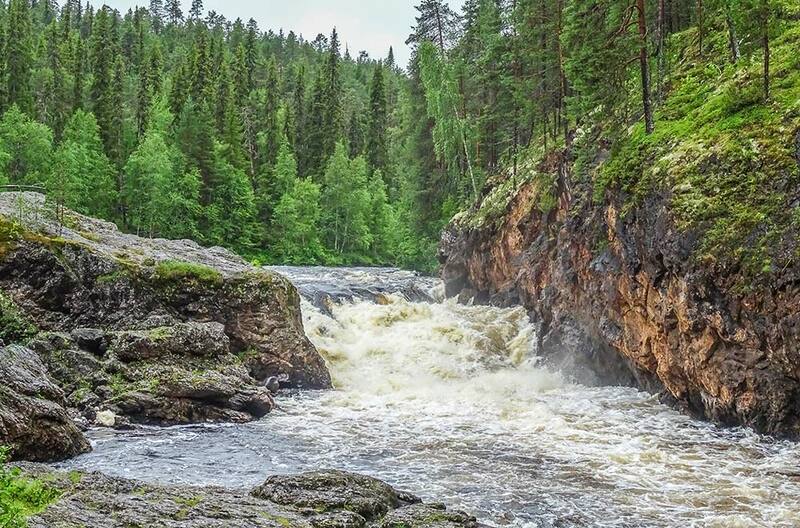 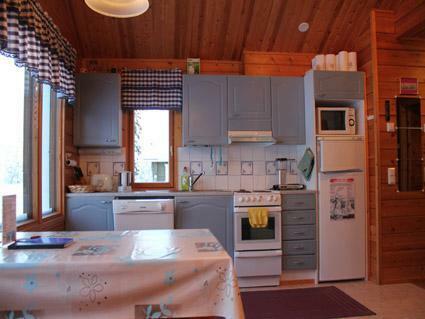 27km north of Kuusamo, East Ruka 3 km, Lake Vuosselijärvi 300 m. Semidetached apartment in a log cottage, built in 2000, vestibule, hallway, bedroom with 2 beds, living room with sofa bed, toilet/shower room, electric sauna, loft with 3 beds, kitchen, row boat in shared use with the apartment A by lake Vuosselijärvi. 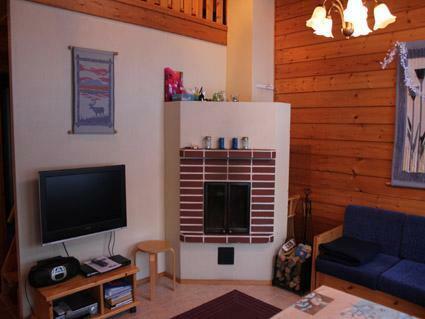 Comfortable semidetached apartment in East-Ruka area near the lake Vuosselijärvi. 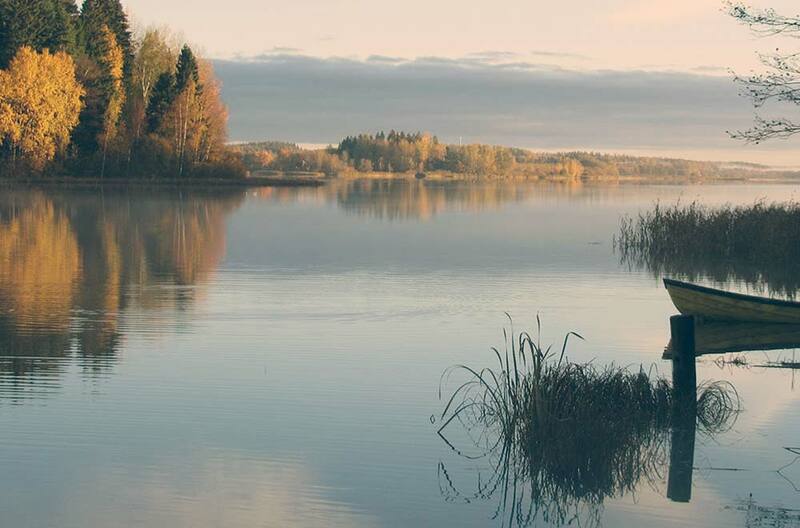 Suitable for families and groups, distance to the nearest country ski tracks is about 150 m, snowmobile trails also near by. 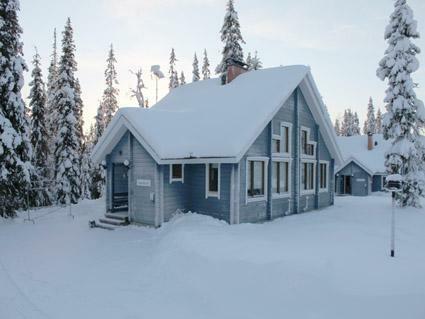 Distance to East-Ruka skiing slopes only 3 km. 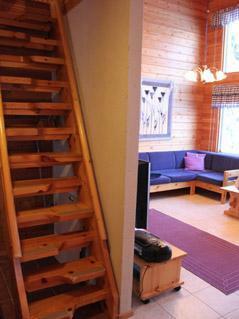 The cottage has two televisions, also equipped with child facilities (cot, high chair and potty), ironing facilities and hairdryer. 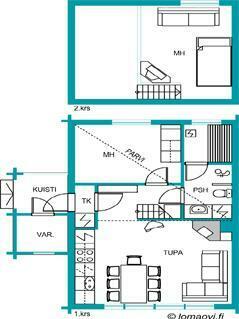 Accommodation facilities for larger groups when renting a detached house Jaakonkolo A as well as an adjacent pair of Jaakonkolo 2B.